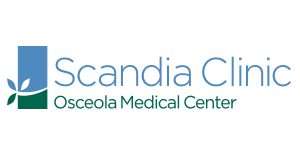 Osceola Medical Center, and its affiliates, provide health and wellness to the community with a caring and friendly staff. If you want to help make a difference in the community and join our team, we’d love to hear more about you. 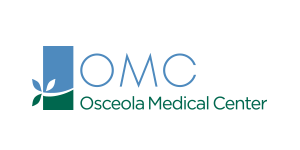 Osceola Medical Center is an equal opportunity employer-M/F/D/V. See policy statement for more information. Duties:As a clinician in the walk-in setting this individual provides a source of entry for the patient into the healthcare system. Clinician will provide comprehensive medical care encompassing everything from acute illnesses to complex health issues. This PA/FNP will be seeing all ages with a focus on the quality of patient care in rural community, often serving a more complex medical patient. The PA/NP will join a team of two NP/PAs and work autonomously as well as collaborate with a Physician mentor in the busy and growing walk-in clinic. Ideal candidates will possess strong clinical knowledge, excellent patient communication skills, and high levels of commitment to efficiency, service, and maintaining and increasing patient volumes. Requirements:Graduate of an accredited Physician Assistant or Nurse Practitioner program. Current Minnesota or Wisconsin license required. Current DEA license and approved or eligible for approval by the Minnesota or Wisconsin Board of Nursing or Medical practice for prescription writing privileges required. Two years of experience in walkin/urgent care or primary care required. FMCSA certification preferred. 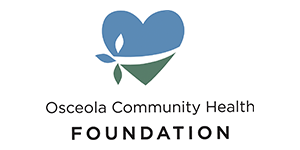 Duties:Is responsible to promote a financial viability at Osceola Medical Center by effectively managing the operational aspects of patient accounting through effective communication and a positive customer service attitude. This includes day-to-day management of department staff; modifying and maintaining policies; continually seeking mechanisms to streamline and automate processes; and building and maintaining payer relationships. Develops , implements, and manages efficient and effective operational policies, processes and best practices within functions of the revenue cycle which include claims processing, payment posting/credit balance management, third-party follow-up and patient A/R management. Ensures compliance with federal and state laws specifically pertaining to the revenue cycle by analyzing internal policies and implementing appropriate changes. Requirements:Minimum of three years of relevant healthcare revenue, practice or clinical experience required, five years + preferred. Insurance law, CPT, ICD-10 coding, physician and facility billing knowledge and continuing education courses extremely helpful. Specific knowledge, skills and capabilities in a Critical Access Hospital (CAH) setting a plus. Ability to establish and maintain effective working relationship with key constituents and levels of management and employees. Demonstrated highly effective verbal and written communication skills, presentation, follow-through and conflict management. Knowledge about and monitors healthcare trends and happenings in community, state, region and nationally, proven ability to select, retain, develop and motivate staff in producing effective and timely operational support. Duties: Responsible to work with patients to address their financial concerns and help them obtain needed financial information and services. Duties include frequent patient contact via phone and face-to-face; assisting patients with financial intake and helping them through the fiscal process throughout their span of care at OMC. Will also assist patients obtain medications through needy med and other pharmaceutical programs. Requirements: High school diploma or equivalent required. Graduate of a two-year program in a related field or equivalent experience preferred. Two years previous registration/scheduling experience in a hospital or clinic setting preferred. Experience in working with insurance, billing, scheduling and registration is a plus. Duties: Works in patient care and fitness center environment, performing cleaning duties as assigned to keep the facility orderly, attractive, clean and sanitary. Requirements: Must have a quality, professional and positive attitude, customer service skills and the ability to work in a team-oriented environment. Previous housekeeping experience preferred, but not required. Duties: Works primarily with external customers and is responsible for the evaluation and treatment of child, adolescent, adult and geriatric patients with musculoskeletal disorders through the use of massage which includes effleurage, petrissage, scrubbing, kneading, tapping, long strokes, deep tissue, stretching and strain counter strain techniques. Also responsible for assisting with program development and marketing services. Requirements: Completion of an accredited massage therapy program and current licensure to practice in the state of WI. A minimum of one year of experience in the massage therapy field preferred. Current certification in CPR and AED preferred. Duties: Conduct specimen collection, processing, and office duties in a hospital laboratory setting. Field, investigate, and resolve patient/customer service inquiries and problems with a high level of detail and patience. Additional duties to include future order entry and processing, limited registration activities, and Point of Care test performance. Requirements:Biology, Chemistry, Physiology background; Phlebotomist certification preferred, not required. Shift: Casual up to full time (.3 to .9, flexible 12 hour shifts) There is a possibility of this position being shared between two facilities. Duties: Will provide comprehensive evaluation and treatment of sleep disorders including in center and home sleep testing, diagnostic and therapeutic interventions, comprehensive patient care and direct patient education. Requirements: Graduate of polysomnographic technologist school required. Certification as a Licensed Polysomnographic Technologist required along with appropriate licensure to practice in the state of WI. One year of full time employment as a polysomngraphic technologist preferred. Current CPR and ACLS certifications. Experience with scoring sleep data and ability to initiate appropriate therapeutic interventions and trouble shoot respiratory therapy devices and physiologic equipment. Duties: Will participate in and oversee the performance of a variety of non-clinical supportive activities. Will maintain an inventory on departmental supplies, assists in the organization of efficient patient flow and organizes the environment to ensure patient safety. Requirements: High school diploma or equivalent required. Minimum of one year of direct patient care experience required. Working knowledge of basic principles and terminology of Rehabilitation services. CPR certification required. Duties: Responsible for providing speech, language, and dysphagia services to patients. Is responsible for evaluating patients and developing speech and language programs in collaboration with the physician and patient. Also responsible for completing evaluations, planning individual patient care programs, treatments, and home programs to patients of all ages. The Speech Language Therapist is responsible for assisting with program development, inservicing staff and for community education. 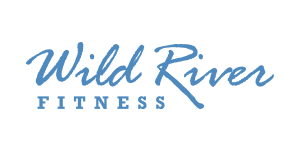 Will instruct, motivate and assist patients in reaching therapy goals. Requirements: Bachelor’s or Masters Degree in Speech Pathology or Communicative Disorders required. Must hold appropriate certifications and licensures. Minimum of one year of experience in the Speech Language Therapy field.